From Paul Goodman of San Diego, California on 11/24/2017 . We live in the southwest, and you’d think we could get a dec3nt salsa here. Whatever the spices are that go into this salsa, they are spot on. We love the flavor and that’s why we buy four jars at a time. We also love their bread and butter pickle slices! From Ronster of Columbia City, Indiana on 1/13/2015 . 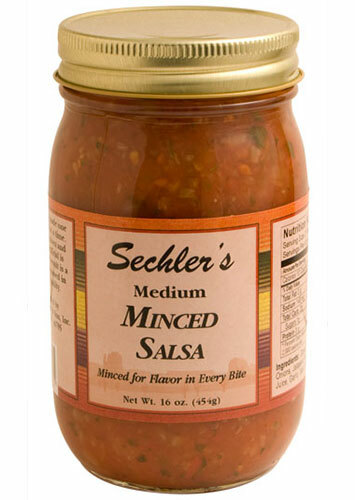 Very good flavor especially if you like a milder salsa and enjoy the blend of flavors of the ingredients more than having your mouth set on fire. Just a hint of heat. A couple jars of this, a big bag of Tostitos Scoops and you are set for a Sunday afternoon of couch grazing, Hoss. Go Packers!! !